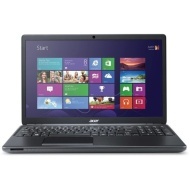 alaTest has collected and analyzed 18 reviews of Acer TravelMate 56-M-39NG. The average rating for this product is 4.4/5, compared to an average rating of 4.1/5 for other products in the same category for all reviews. Reviewers are impressed by the usability and size. The screen and keyboard also get good opinions, but there are some critical views about the durability and portability. We analyzed user and expert ratings, product age and more factors. Compared to other products in the same category the Acer TravelMate 56-M-39NG is awarded an overall alaScore™ of 83/100 = Very good quality. nice piece of kit with good size keyboard and full size keypad. Fast, plenty of memory and hdd storage, hdd is already partitioned for c: and d: drives which is useful. Graphics are good as is the display. Its a comfortable size. nice clean lines and keys feel responsive. SD card sticks out the front.